Support for youth around the Columbia Basin will continue as Columbia Basin Trust renews the Basin Youth Network for three years with a budget of nearly $5 million. Established in fall 2015, the network serves youth in several ways. On the community level, the Trust provides funding to 28 community youth networks. These work to increase local activities and opportunities for youth aged 12 to 18, enabling them to learn new skills and engage more with each other and their communities. 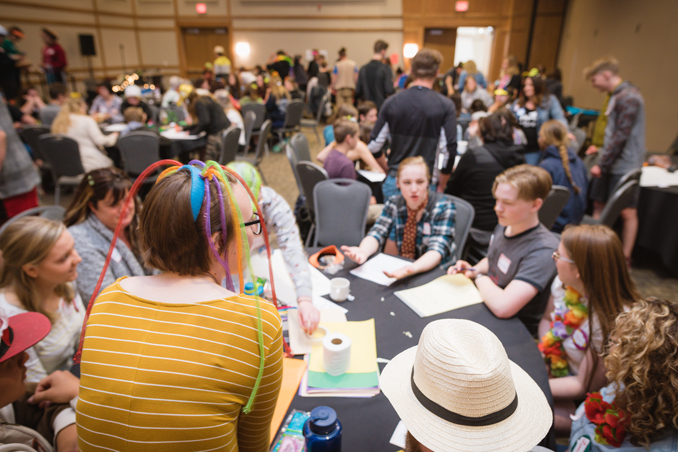 On the regional level, the Basin Youth Network brings together young people through regional or Basin-wide events like the Leadership Summit, hosted every two years. It also develops programs that address youth priorities such as leadership development and job readiness, and supports local youth coordinators and those who work with youth with resources like a mental health first aid course. Learn more at ourtrust.org/byn. All priorities — for the regional network and the community ones — are identified with input from youth. In the first year alone of the regional network, over 6,000 youth provided their voices to identify priorities; this totalled 60 per cent of youth aged 12 to 18 in the Basin. In addition to the Basin Youth Network, the Trust helps youth build knowledge about financial literacy, entrepreneurship and more through JA British Columbia; offers awards and bursaries to high school and post-secondary students; and helps youth get employed through its wage-subsidy programs. Learn more at ourtrust.org/youth.